The coloured frames' idea is tremendous! CV template to download "Performer"
The Performer Resume presents all the information with great clarity! This student-CV features an excellent selection of colors, shapes, and texts that create an attractive resume design that perfectly presents all the relevant information to your potential employer and is a great fit for any job type out there as all the key information is clearly written. 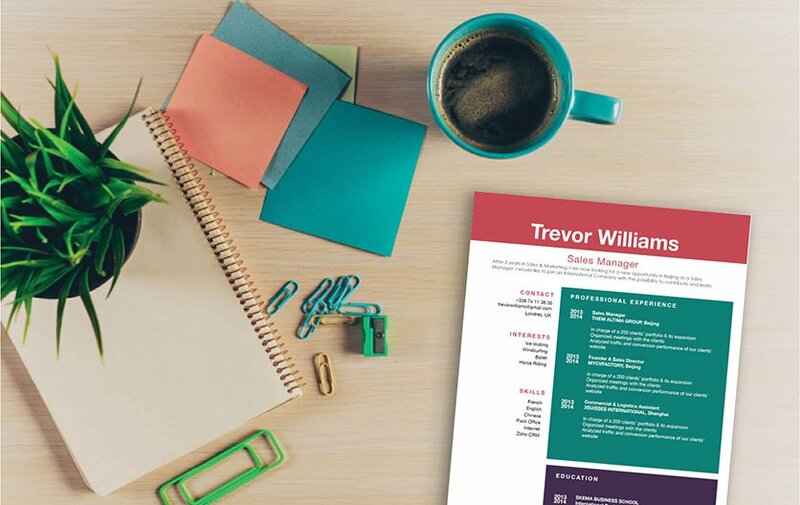 This resume template is an effective tool in getting you that dream job! How can you create a more eye grabbing resume? That's easy—all you need is clear and comprehensive format. With that resume of yours that dream job is guaranteed! 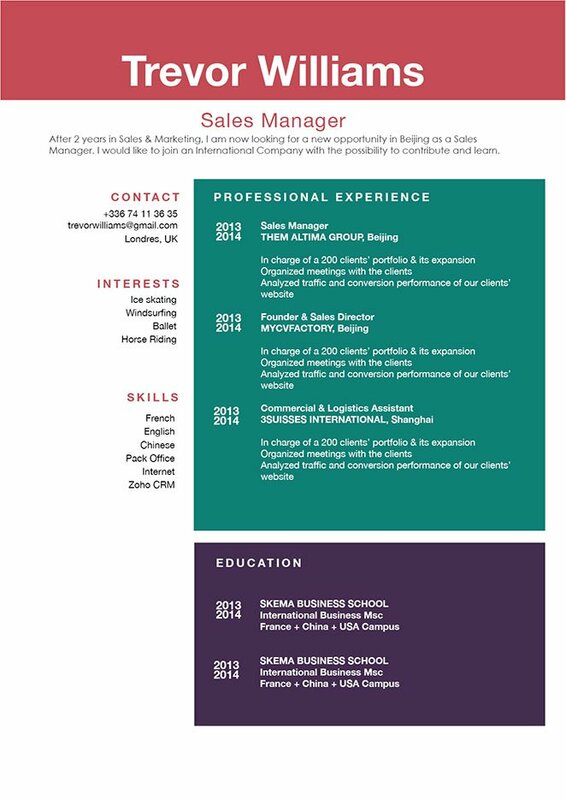 One major factor in creating an effective resume is its over-all lay out and design. In most cases, resume are just scanned for 10-30 seconds—it doesn't get fully read the first time through. So it's imperative that you present all the information with a well-organized design. To create this design, choose a simple yet professional font such as Seriff or Sans Seriff. Choose a font size between 11 and 12, and selectively apply bold/italic font faces to guide the reader's eyes along your resume. The use of graphics and bullets will highlight the key phrases within your CV. And lastly, you can give your resume a logical format by using wide-margins, headings, and subheadings.